The development of nano-satellites in universities is a global and modern practice. Satellites of this class can be like a flying educational laboratory for students, and the process of it's creation could be exciting scientific study. This website is about student satellite, which was created in the Belarusian State University at the Faculty of Radiophysics and Computer technologies. 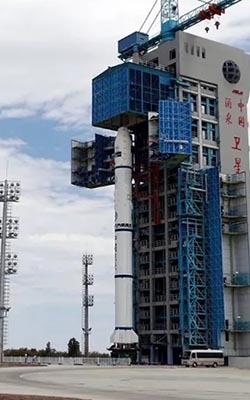 We sincerely thank the China Great Wall Industry Corporation (CGWIC) and China Academy of Launch Vehicle Technology (CALT) for its support on Earth, in the Atmosphere and in Space. Congratulations with successful 53rd flight of LM-2C launch vehicle! We would like to acknowledge Mike Rupprecht (DK3WN) for the software provided "Online Telemetry Forwarder" and Andrei Kopanchuk (UZ7HO) for the software Sound Modem. Thank you SatNOGS.org for observations CubeBel-1 and service wich represent data from our satellite. We would like to express thanks at the great work radio amateurs community have put in receive telemetry. We are using the opportunity to express deepest gratitude and special thanks to the Hoster company www.hoster.by who is the best Belarus web hosting provider and who give us free multi-site web hosting with value added features. We express deepest thanks to Abiatec Company www.abiatec.by and to Dmitrii Bobrov (technical director Abiatec and senior lecturer BSU) for free X4CMS system, for taking part in useful discussions and for giving necessary advices and technical help. 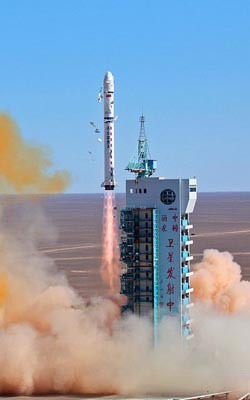 Established in 1958, Jiuquan Satellite Launch Center (JSLC) is China's earliest launch site with state-of-the-art satellite launch facilities. 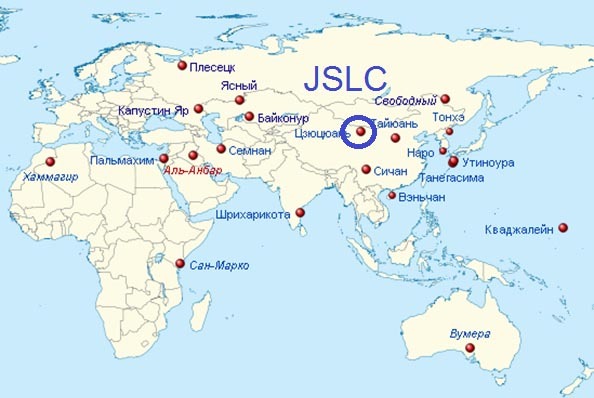 JSLC is mainly used to launch scientific and recoverable satellite missions with medium, low earth orbit and high inclinations. 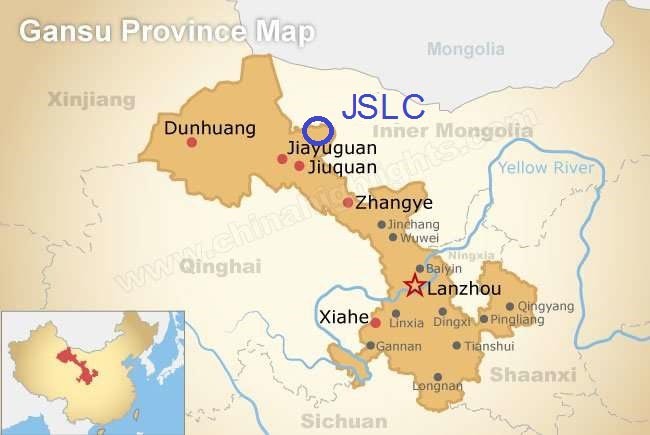 JSLC is situated in Jiuquan, northwestern Gansu province. The coordinates of the launch site are 100°E, and 41°N, and it stands at an altitude of about 1000m above sea level. 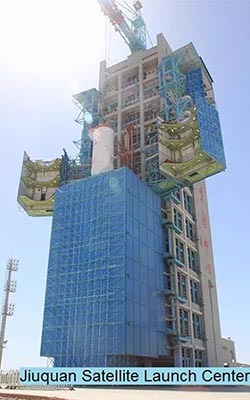 Launch Area 4 (LA-4), also known as the South Launch Site or SLS, and LC-43, is the only active Long March launch complex at the Jiuquan Satellite Launch Centre. It consists of two launch pads and Vertical Assembly Facility. 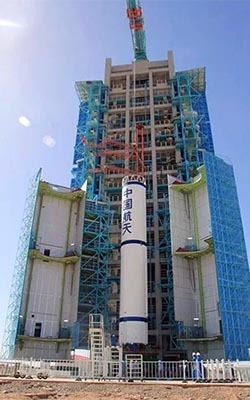 Long March 2C (LM-2C), or Chang Zheng 2C (CZ-2C) is a member of the Long March 2 rocket family. This vehicle was developed by the China Academy of Launch Vehicle Technology. It is a two-stage launch vehicle. First launch occurred on September 9, 1982. The center of aerospace education of the Belarusian State University was established in 2008. From the very beginning, the three main directions of the center's work were identified: preparation, processing and use of earth remote sensing data, as well as the development of ultra-small student spacecraft as a flying educational and scientific laboratory. Students of the BSU Lyceum were also involved in the development of ultra-small spacecraft. 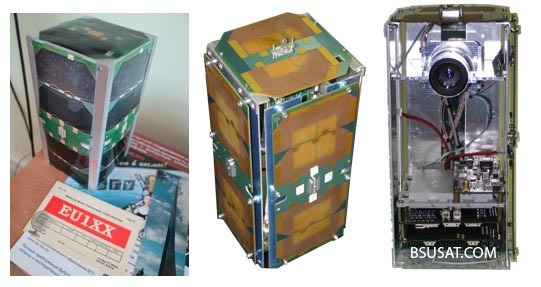 They developed the series of picosat satellites named BelSat in CanSat-form factor. After the successful atmospheric launches students won the second place in 2012 and the first place in 2014 in the championship "CanSat in Russia" organized by the Research Institute of nuclear physics, MSU. Everyone who was involved in the Belarusian State University had the opportunity to take part in the development of the nanosatellite. In 2013, the Center of Aerospace Education BSU together with the Department of aerospace research of the Institute of Applied Physical Problems BSU held the contest "Send your idea into Space". 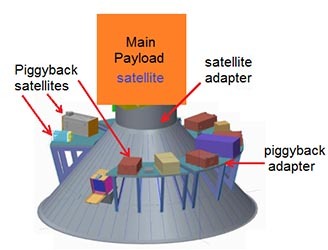 Some of the ideas implemented in the BSUsat-1 project. More than 20 representatives of various faculties of BSU were participated in the project – students, undergraduates, graduate students, scientists of Radiophysics and computer technologies, Physics, Mechanics and mathematics faculties. The results of research and experiments over several years have contributed to the future project. Functional modules and systems for nano and pico satellites including Breadboard Models (BBM) of satellite have been developed and created. Ground FM/UFM, S-band station based on amateur station (eu1xx), L-band and X-band station have been constructed. Produced “clean room" for future work for the assembly of the satellite. At the beginning of the 2015, our team (group of enthusiastic students and scientists of Radiophysics and computer technologies faculty) has officially started the 2U-CubeSat project. First technical discussion about mechanical structure and configuration of the satellite was made in collaboration with specialists from the German Orbital Systems GmbH (http://www.orbitalsystems.de ) and ECM space technologies GmbH( http://www.ecm-launch.de ) – Dmitry Bogdanov and Walter Ballheimer. Experienced colleagues from ECM Launch Services consulted us about the possible CubeSat mechanical structure and HW configurations. We have discussed variants of solar panels, possibility and requirements of launch services, experience in Space technology and approved electronic components, tested power batteries, etc. Several draft versions of satellite were created during of 2015-2016 because of many discussions and preliminary tests. We have tested possibilities of active orientation system and cold resistance of CubeSat model, performed the onboard sensors calibration, and EMI measurements. Belarusian State University (BSU) is the leading research and high school education organization of Belarus in several fields of research and development. It was deeply involved into various space research projects, including Soviet Lunar Program, Space Station “Mir”, Space Shuttle “Buran” and International Space Station. In the nineties BSU space activity was supported by Federal State programs. From 2004, when the National Space Programs were restarted, several branches of BSU including Institute of Physics and Aerospace Technologies (PAST), Center for Aerospace Education, Research Laboratory of Applied Space Technologies intensified research and development activity in the field of space communication and navigation systems, Earth observation tools and technologies, electronic and optic sensors, novel materials etc. BSU developed a space borne video spectral system for the International Space Station (ISS). A new stage in the development of miniature spacecraft technologies and nano/pico satellites already characterized by their active use of remote sensing, environmental monitoring, earthquake prediction, the study of the ionosphere. Just using small and ultra-small spacecraft it is economically feasible to perform full - scale testing of innovative technical solutions and intellectual property objects. They are indispensable to promptly solve the wide range of scientific, socio-economic, educational and technological challenges, development of effective satellite constellations or risk - sharing startup. So just this class of spacecraft, due to significantly lower cost of the space and ground segments, as well as start-up, is the most appropriate for small states and even private firms and individuals.